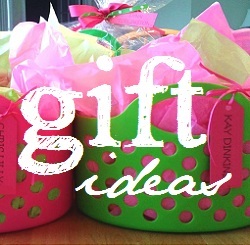 Hmm… maybe for the cynical Valentine’s Day card giver? 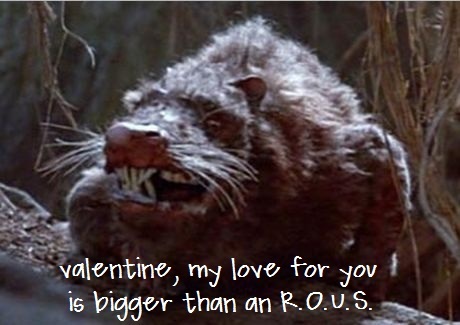 Generally, I might advise against including a huge rodent on your valentine… But I think it works here, don’t you? 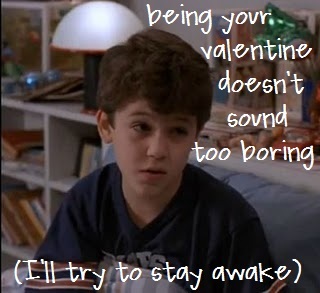 Can I go back to grade school and hand out these valentines? Pretty please? Okay, so no one would get them since the movie hadn’t come out yet… but that’s okay, right? 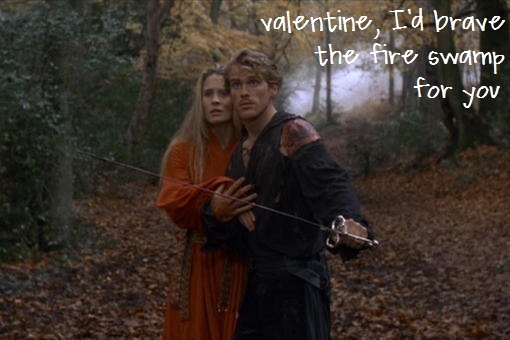 And what Princess Bride scenes or lines do you think would make perfect Valentine’s Day greetings… Something with “as you wish,” maybe? Miracle Max? The Westley-Inigo sword fight? The “My name is Inigo Montoya” schpill? What did I miss?! Do tell! 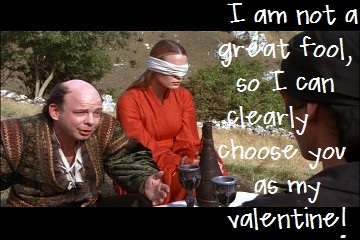 It’s inconceivable that you will not be my Valentine! Inconceivable! I love the princess bride. My sister’s and my favorite part is the wedding. I printed off the wedding one( hope you don’t mind) and sent it to her. She went crazy. oh my gosh. So funny! I am asking you to be my valentine and I mean it … anybody want a peanut? 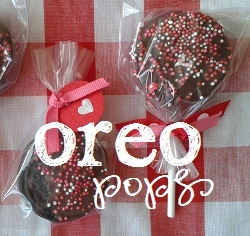 Look valentines day! Just ahead. 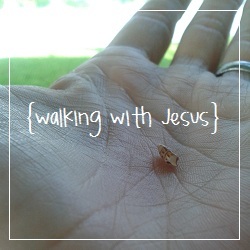 If you don’t come, then I’ll be dead. hello! my name is inigo montoya. 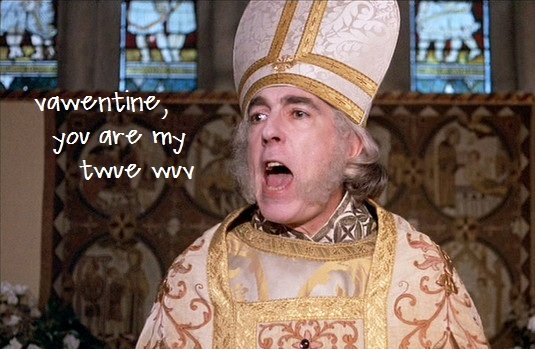 i want you to be my valentine, or i shall die. Excellent job! I can’t pick a favorite, so I just gave them all to my hubby!